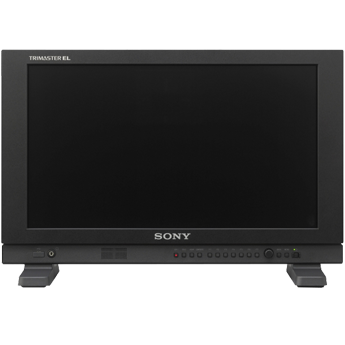 The Sony PVMA170 17" Professional OLED Production Monitor is suitable for both field and studio use. It features a 16.5" diagonal OLED panel that has a native resolution of 1920 x 1080. Because of the OLED technology employed, each pixel can be switched completely off--unlike typical LCD displays--for a much closer approximation of true black. 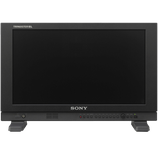 It can be connected to standard- and high-definition video sources via SDI or HDMI as well as analog standard-definition sources through composite. The PVMA170 features two SDI inputs with loop-out that support 3G-SDI, HD-SDI, and SD-SDI signals at resolutions up to 1080p60. In addition, 24 fps frame rates are supported, including 23.98p, 23.98Psf, 24p native, and 24Psf. It features an HDMI input that supports 1080p60, 24p, 23.98p, standard-definition, and a number of computer resolutions.